Home » Binary Options Brokers » News: No to non-regulated brokers! News: No to non-regulated brokers! Finally! The first country (or regulator) has taken action against non-regulated brokers. Russia’s financial regulator (CBR) in one of its interviews articulated its intention to block websites of binary options and cfd brokers which are not officially licensed by CBR and CySEC. 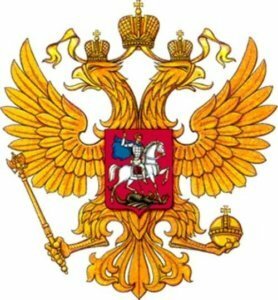 It appears that Russia is going to do the same move as the Czech Republic did in early 2017 about its on-line casinos. If any broker targets Russia’s trades, their websites will be for Russia’s citizens blocked. Targeting Russiam citizens means: any advertising done in Russia, offering russian as one of the languages, or trading with Russia’s currency, the rouble. According to Mr. Sychev, Russia’s regulatory body may shut down any such a website even without court’s approval. For the time being, it has only been possible for websites with the following domains: .ru, .su and .рф, The authorities do not rule out that some more domain may come next. I believe this is excellent news for all honest brokers because this move will eliminate a large part of their competitors. This also means that a lot of fraudulent brokers and signal providers, mushroomed recently, will disappear. Remember that it is crucial to think twice before depositing your money to a broker. To help you, we have put together a list of recommended brokers which is now being extended. I personally hope that it will not take long for other countries to follow Russia’s example. To block non-regulated brokers EU-wide would be an ideal solution. Perhaps this will never come true but it would surely be the best solution of all.